Offering you a complete choice of products which include pvc bunk office, sandwich panel bunk house, vvip washroom and bunk office. Our professionals make sure that PVC Bunk Office are constructed tough externally but gives an elegant look from inside, making one feel lively. Due to superior quality insulation these site office cabins are capable of keeping the temperatures maintained inside. 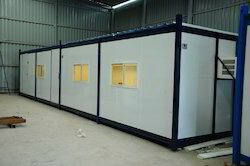 We are offering Sandwich Panel Bunk House. 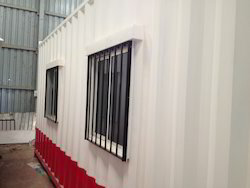 Our bunk house are available in different colors & sizes as per the requirements of our clients, and are known for their durability, environment friendliness, cost-effectiveness and waterproofing. 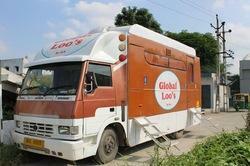 We are engaged in manufacturing of VIP Toilet Bunkhouse with two doors one for ladies and the other for gents. In the ladies side, we have three w.c and one wash basin. In the gents side, we have one w.c and five urinals and one wash basin. we provide with two tanks. These Bunk Offices are compact and easy to install.